Creating a slideshow can be a tricky task unless you know the right program to use. One of the best programs for quality slideshow creation is Icecream Slideshow Maker. Thanks to its user-friendly interface, available in over 25 languages, and advanced settings, a quality slideshow with music can be created in as many as 4 clicks. If you doubt that it’s possible, then you can download and install the program, run it and start following the instructions below. Get ready to count to 4! Adding images to Icecream Slideshow Maker is simpler than ever – simply drag and drop them into the program’s window. 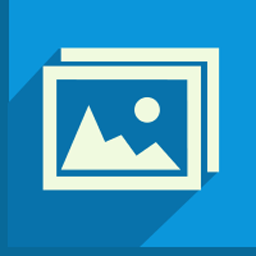 Another way to add files is to click the “Add Photo” button to open Windows Explorer and browse your computer for the images. To add an audio track to serve as the background music of your slideshow press the “Add Audio” button. It opens Windows Explorer where you can select audio files of the supported formats: MP3, WAV and WMA. Apply the “Random” transition effect to your slides in the common settings area to apply a random transition type for each slide. This way you save time as you create a unique slideshow with various effects with a single click of mouse. The last step is to hit the green “CREATE” button in the right lower-hand corner of the program’s window. On doing so, the process of creating the slideshow starts and the file will be ready in no time. 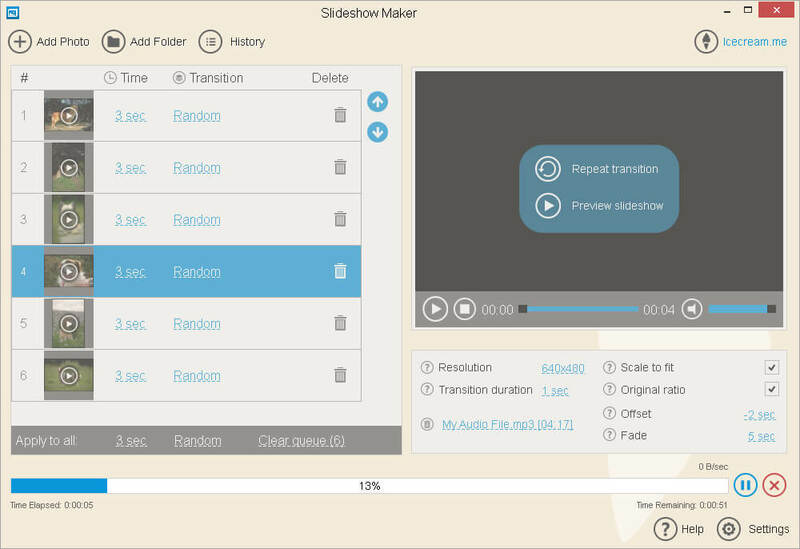 When you create a slideshow with music, Icecream Slideshow Maker offers the following settings to be configured: transition duration and effect (can be applied to all slides or to each slide individually), resolution for the output slideshow, possibility to scale to fit or maintain the original ratio of the slides, and offset and fade for the background music of the slideshow. All the applied changes can be previewed in the in-built slideshow player in the right-hand side of the program’s window. As you can see, creating slideshows with music simply and quickly is not a myth at all. It is perfectly possible with the help of Icecream Slideshow Maker. 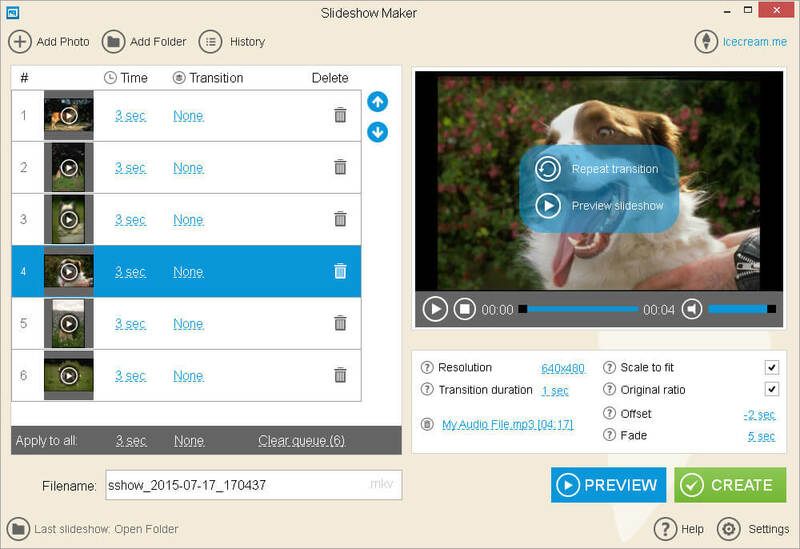 Tags: create a slideshow, free slideshow maker, how to make a slideshow, how to make a slideshow with music, icecream slideshow maker, make a slideshow, slideshow, slideshow maker, slideshow software.